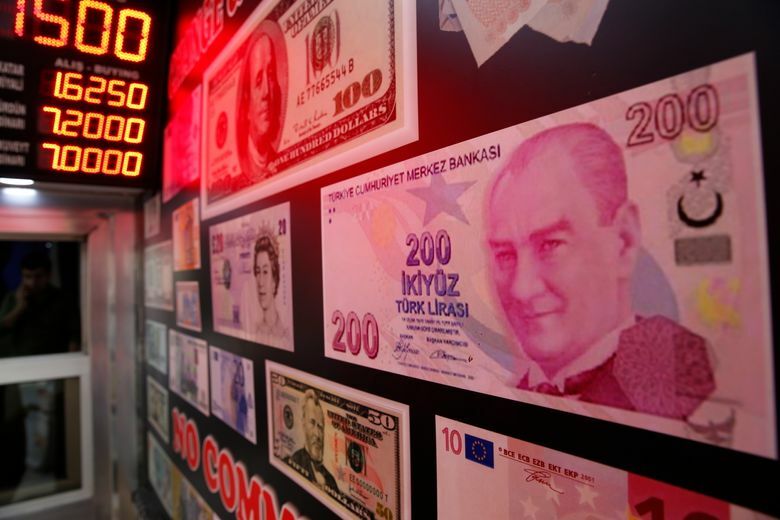 ANKARA, Turkey (AP) — Turkey’s central bank took action Monday to free up cash for banks as the country grapples with a currency crisis sparked by concerns over President Recep Tayyip Erdogan’s economic policies and a trade and diplomatic dispute with the United States. 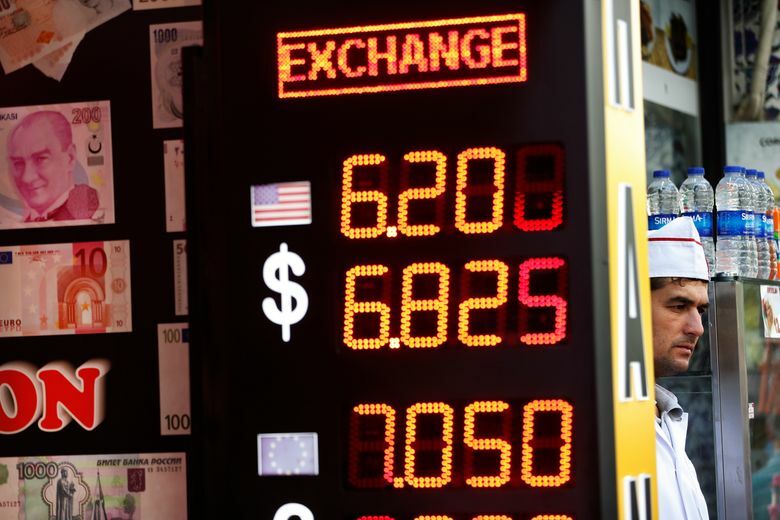 The Turkish lira has nosedived over the past week, accelerating a months-long decline, and tumbled another 7 percent on Monday as the central bank’s measures failed to restore market confidence. Investors are worried about a confluence of factors: the country’s reliance on foreign loans that may stop flowing in as interest rates rise in other economies, like the U.S.; Erdogan’s insistence that the central bank not raise interest rates, as most independent analysts say it should; and a spat with the U.S. that has led to sanctions and the fear of greater isolation from longtime allies in the West. 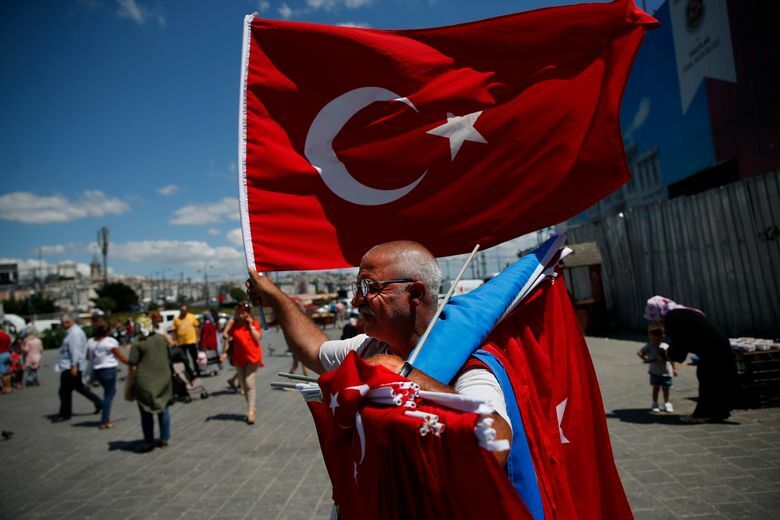 Erdogan also ruled out the possibility of higher interest rates, as they can slow economic growth. 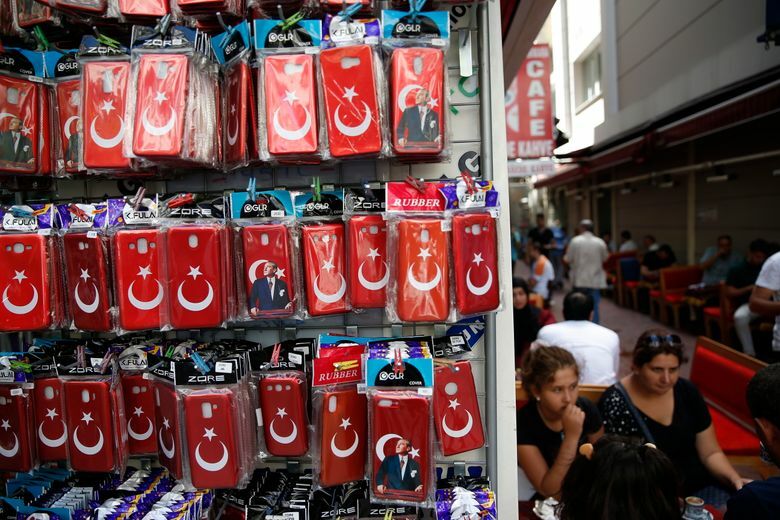 But independent analysts say higher rates are needed urgently to stabilize the currency and Erdogan’s hard line is one of the reasons investors are worrying. On Monday, the central bank announced a series of measures to “provide all the liquidity the banks need” — but offered no hint of a rate increase. 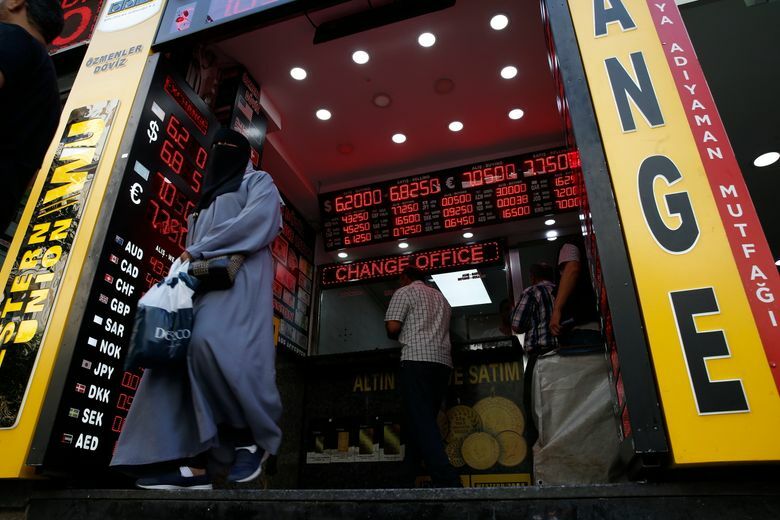 Turkey’s situation is among the most precarious among emerging markets because so much of its growth was fueled with debt in foreign currencies. That makes the currency drop so much more painful as it will increase the cost of servicing debt for Turkish companies and banks and could lead to bankruptcies. 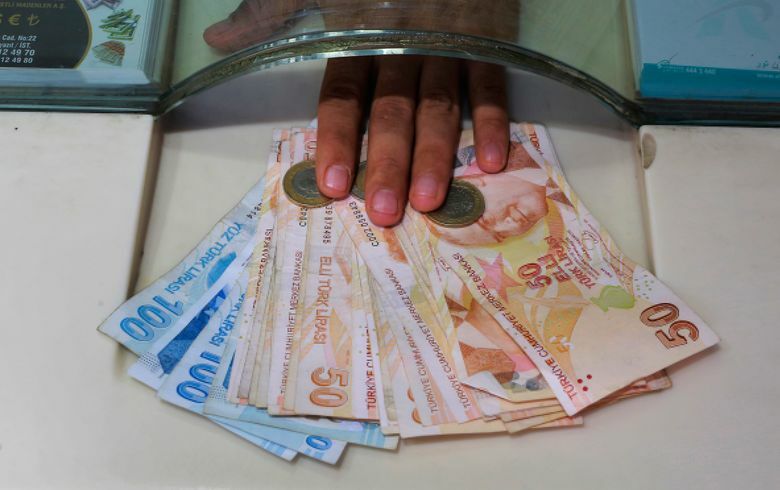 Berat Albayrak, Turkey’s finance chief — and Erdogan’s son-in-law — said Sunday that the government had no plans to seize foreign currency deposits or convert deposits to the Turkish lira. He said it had readied an “action plan,” without elaborating. The country’s economic trouble has been heightened by a dispute with the U.S. that has centered on the continued detention of an American pastor who is on trial for espionage and terror-related charges. 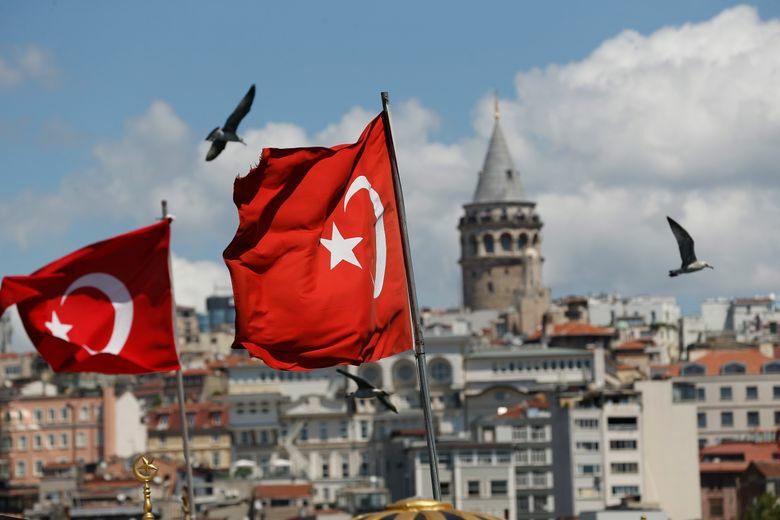 The U.S. has responded by slapping financial sanctions on two ministers and later doubled steel and aluminum tariffs on Turkey. 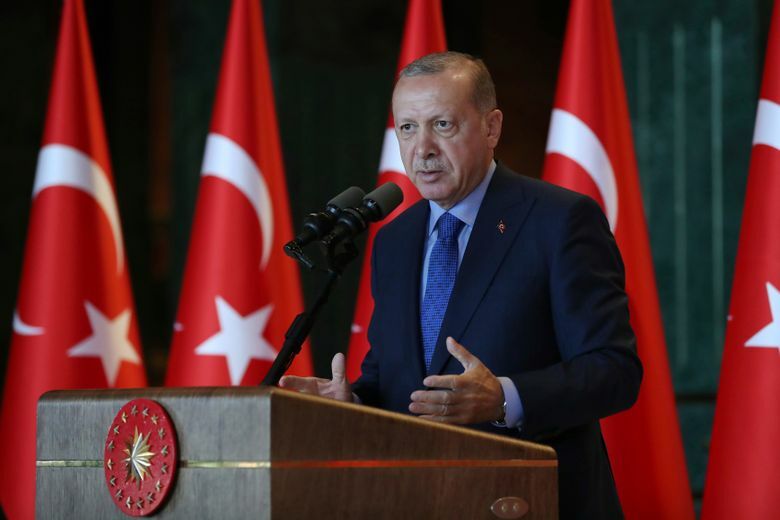 Addressing a conference in Ankara gathering Turkish ambassadors, he called on Washington to “remain loyal to ties based on traditional friendship and NATO alliance” with Turkey. Meanwhile, Turkey moved to take legal action against hundreds of social media accounts it accused of provoking the lira’s plunge. 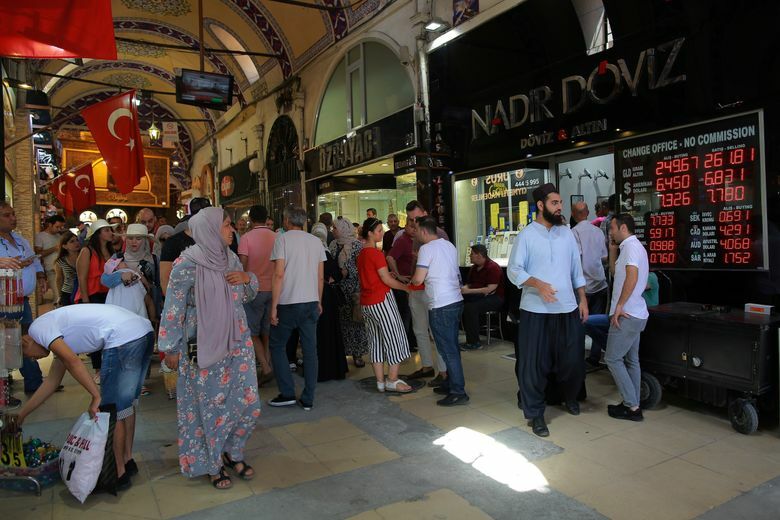 It did not provide information on the accounts but said they aimed to “manipulate the dollar rate and form negative perceptions” concerning the Turkish economy.